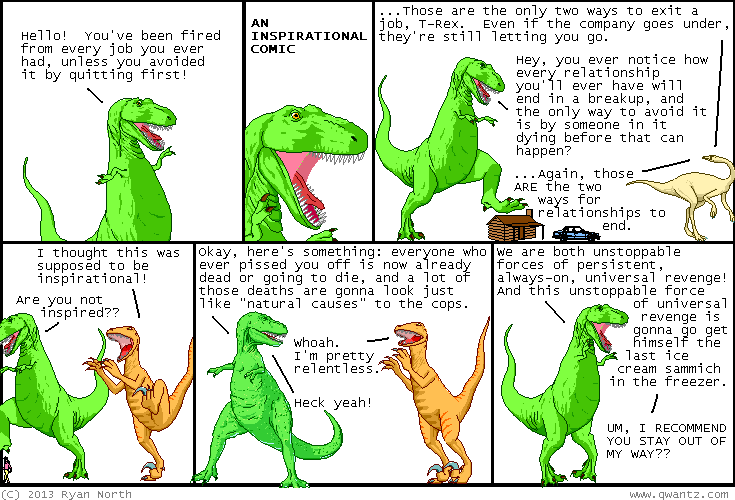 Dinosaur Comics - October 21st, 2013 - awesome fun times! 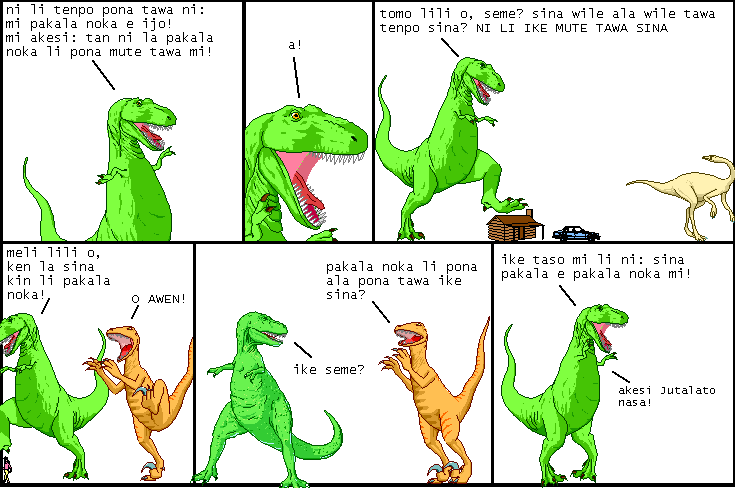 October 21st, 2013: Janek sent me this early comic translated into Toki Pona, which is amazing. Toki Pona is a constructed language I'd never encountered before (Wikipedia says it has 3 people who are fluent) but I kind of love it: it's designed to be simple but still allow you to express complex thought. Check it out: there's five names for colours in Toki Pona (describing black, white, yellow, blue, and red - in other words, the CYMK colour space) and you can describe other colours by combining these two colours together like you would paints. Green is a "bluish yellow". This is totally rad! One year ago today: legend tells of the first fairies to invent magic who accidentally turned all the air in a twenty-kilometer radius to Jell-O pudding. their bodies were found weeks later by the pudding scavengers.